Bakuro puts his hands on the ground and applies chakra, causing the ground around him turns into diamond. Bakuro infuses his twin daggers into diamond swords, turning the sword blades dark red. Bakuro stabs his swords in the ground and two red dragons of rock spring up from the ground which can explode either on contact or by bakuro making an extra handsign. A shadow clone with the ability to cause a small explosion when an extra handsign is made. A shadow clone made of diamond, when defeating it disperses in a burst of sharp diamond shards. Spikes of hard diamond spring up all over the ground, spikes will denote when bakuro makesa extra handsign. Bakuro will form the Rasengan and add wind chakra, reforming it into a demon wind shuriken shape, allowing it to be thrown. 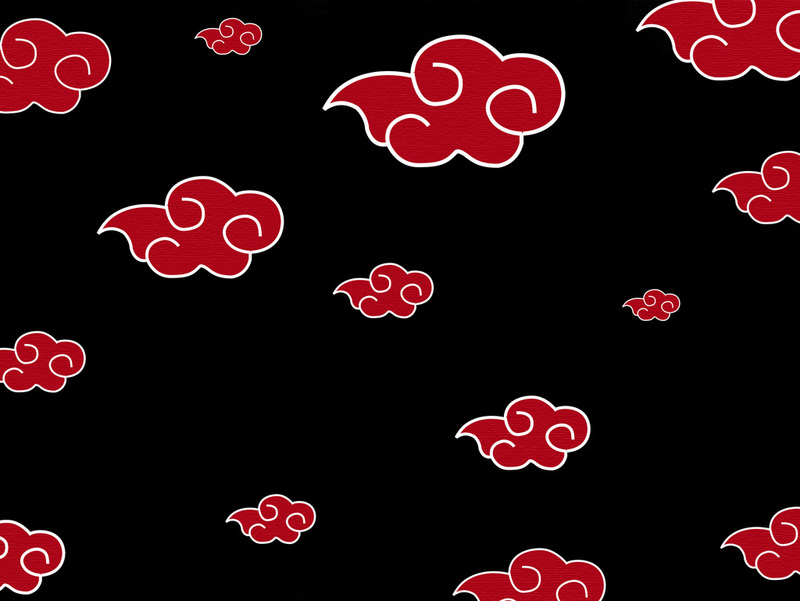 Rasen Shuriken is formed by enumerable miniscule small blades which slice into every cell of its target, severing the chakra circulatory channels connecting all the vital points on the body. Once it connects the highly dangerous attack will envelop the target in a massive sphere of destruction. However , this same damage is afflicted upon the user’s arm. A spiraling sphere of pure swirling chakra. Bakuro will unleash chakra threads fom his hands and feet and at the ends of every three threads a rasenshuriken will form, bakurothen spins at high speed along with the rasenshurikens then stops in a skid, releasing the threads and large twisters made of rasenhurikens. Bakuro's body is afflictedwith serious damage from the closeness to the rasenshurikens during the high speed spin, bakuro canuse this move twice without it killing him. Activating the body to focus chakra to the hand, Bakuro’s hand becomes enveloped by an electrical force, after concentrating all the chakra into the arm, Bakuro uses his quickness and the power of the thrust from the chakra to pierce any object with the extended forearm. Bakuro can use up to seven time per battle before exhausting his chakra. Small threads made of chakra that can be used for various purposes. Bakuro is able to shape the chidori to form an extending blade of lightning. This blade takes on Chidori's characteristics, including its ability to cut through anything which stands in its path, allowing the sword to strike its target with ease and causing the target to go numb from the electrical charge. Bakuro can extend chidor’s current outside of his body and through objects which he is holding. This allows him to create a protective zone around himself which can shock and immobilize his foes, presumably by attacking their nervous system. Bakuro forms handsigns and a murky muddy swamp will appear underneath the target. Bakuro makes a long chain of complicated handsigns then extends his palm, the palm will bear the "sit" kanji. Drawing close, the user will place their palm on the chest of the Jinchuuriki and then withdraw, an emanation of chakra will then follow from the seal to the palm. Spiked posts will rise and surround the Jinchuuriki to corral them. In a short time, the Jinchuuriki's bijuu manifestation and chakra will withdraw from their body into the chest seal, eventually returning them to normal. Rock and stones will surround the target, slowly hardening and compressing into a diamond straitjacket. The minerals inside the prison or diamond will explode, causing shards of diamond to fall in all directions. The most basic of explosives, they cause small explosions and aren’t very harmful unless near a fatal spot on body. These take the form of small creatures and weapons. These explosives cause slightly bigger explosions than C1 bombs but cause the same amount of damage and take the form of wolfs. This explosive is more powerful than C2; it takes the form of a large snake. This snake can split into four other snakes and those snakes can cause a 40 yard wide explosion. This is the first of Bakuro’s four named bombs. These explosives can cause medium sized explosion and take the form of birds of prey and snakes. These are the same as C4 explosives, only a slightly more powerful explosion and is often used in Bakuro’s Explosive Steel Jutsu. This explosive is twice as powerful as the previous explosives and takes the form of a small sphere. When thrown at a target, it changes to the form of a baby dragon and when slight contact is made, it causes an 80 yard wide explosion. This is the second of Bakuro’s four named bombs. This explosive causes large explosions and is often used in the form of land mines and other projectiles. This explosive is similar to C7 but is used only in Bakuro’s Explosive Clone Jutsu. This bomb is three times as powerful as the previous and it takes the form of a giant demon wind shuriken. The shuriken made of condensed diamond and chakra. The shuriken constantly absorbs from a 10 foot radius around it in order to provide a chance for an even larger explosion, this is the third of Bakuro’s four named bombs and using it requires a large strain on his body plus the bomb’s absorption affects him as well and can use up all his chakra if he’s not careful. The explosion affects a 120 yard radius. This bomb causes a slightly large explosion than C7 and C8 and is used in Bakuro’s Diamond Mine Field Jutsu. This bomb is stronger than C10 and has never been used before, so we don’t know what form this bomb takes. The final named bomb of Bakuro and the most powerful of all the C# Bombs. This bomb lies dormant within Bakuro’s own body and can only be used when he’s on the verge of death. Bakuro makes handsigns and using his blades, slices at a blood vessel in his arms, legs and chest. He then merges his chakra with the blood soaked ground and turns into a 10 feet diamond phoenix. Bakuro retains thought, movement and ability to use jutsu for 7 posts then he automatically goes into a dive-bomb at the opponent and releases an explosion with enough power take out two villages when contact is made. Bakuro dies when the jutsu ends.